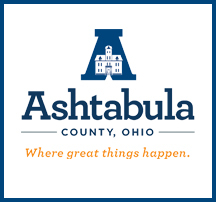 The Ashtabula County Nursing and Rehabilitation Center is an outstanding healthcare facility, due in part to the constant support and guidance of the Ashtabula County Commissioners. Their dedication has allowed our facility to expand and flourish. The Commissioners are also strong advocates for our employees, who enjoy the many benefits of being county employees. We would like to express our gratitude and appreciation to the County Commissioners for their continued commitment to the Ashtabula County Nursing and Rehabilitation Center. Thank you!